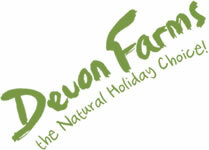 Smallicombe provides excellent family-run farm accommodation in the Devon countryside. It is an ideal farm-based self-catering cottage holiday destination and quality B&B, providing delightful accommodation near the famous East Devon town of Honiton, close to the Jurassic coast. Set in 70 acres of pasture and ancient woodland, the farm is situated in an ‘Area of Outstanding Natural Beauty’. It has stunning views over an unspoilt rural valley where little has changed over the centuries. The farm was documented in the Domesday Survey of 1086. Smallicombe Farm is famous for its prize winning Rare Breed pigs. Why not book on one of the specialist “pig courses”. During your stay, you will have the chance to roam in the fields and woodlands and spot rare wildlife in their habitat. Roe deer can often be seen in the morning and early evening grazing in the fields on the edge of the woodlands. At Smallicombe you will feel protected from the busy outside world and be able to enjoy the cottages or bed and breakfast in this stunning part of Devon. The farm is also close to many interesting places to visit, including amazing local; attractions, stately homes & gardens, museums, theme parks and of course the famous Jurassic coast. 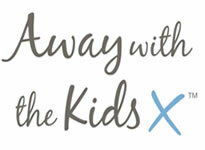 It’s all here for the children, from playing in our gardens to helping to feed and pet the farm animals. There are lots of activities to do and many interesting places to visit when staying in Devon. From Stately Homes & Gardens, Museums, Theme parks and of course the seaside. We are lucky to be located in a stunning and idyllic rural setting. Whilst you can enjoy the beautiful countryside we are also only a short drive from the South Coast. We produce wool from our own sheep and offer a wide choice of natural farm produce available to order or buy on-line. We offer short breaks throughout the year which are excellent for couples wanting to get away from it all and stay in our luxury accommodation. Being specialists breeders of a Herd of pedigree pigs we provide special courses in out to look after and rear pigs. The farm is set in a peaceful location and yet within easy reach of Honiton, Colyton and the very beautiful East coast of Devon. We wanted the experience of staying on a working farm which we would all enjoy and that is exactly what we had. We will definitely be visiting again. The accommodation was really lovely with everything you need, and lovely views from the sofa out into the fields and oh so quiet at night. I didn’t really want to leave. Lovely. Karen and Matt were really friendly, offering lots of advice on the local area and always happy to answer all our questions about their farm! Also Karen’s Dad thanks for showing us the Pigs! Friendly welcome, lovely room in The Shippon, excellent breakfast each morning. Our stay couldn’t have been more enjoyable. Wonderful to meet some of the pigs and their piglets, and to be given some really fascinating background on the farm and pig upkeep – would highly recommend. It had everything a family could ask for PLUS a wonderful atmosphere, created by the charming yet professional family running the farm.